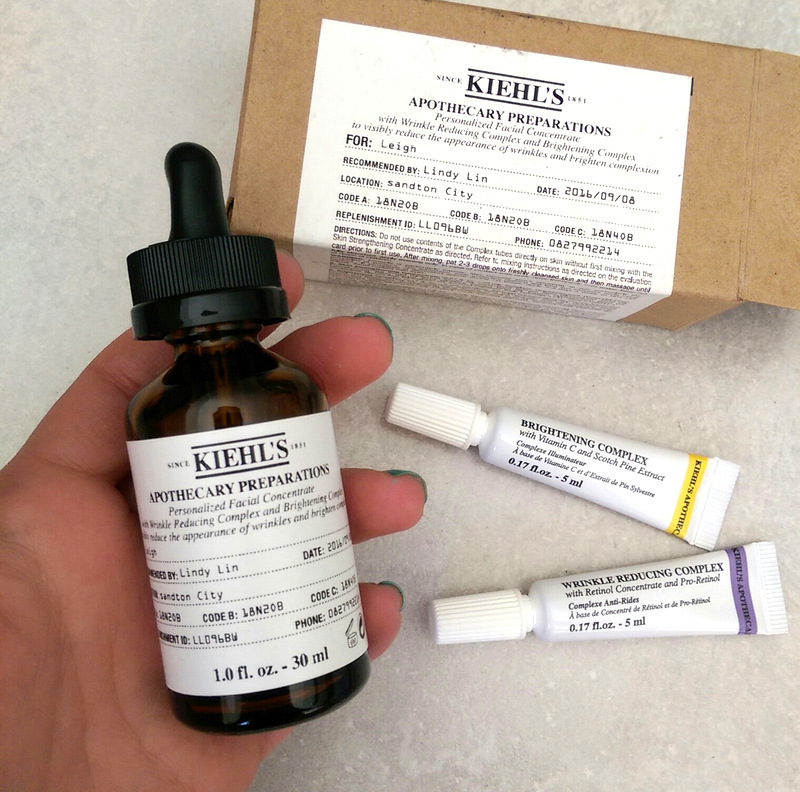 Kiehl’s have launched an interesting new skin care collection called Apothecary Preparations available at their Sandton and V&A counters. It’s all about creating a ‘personal beauty solution’ in that, after a quick consultation with one of their salespeople, you can whip up a freshly mixed facial concentrate containing two complexes to address your skin’s needs. The complexes you can pick from aim to address redness, wrinkles, texture, pores and dullness. I opted for the wrinkles and dullness additives as I liked their ingredients – retinol in the former and vitamin C in the latter. To whip up my serum at home, all I had to do was open each additive, pour it into the serum’s ‘base’ (a Skin Strengthening concentrate that’s suited to all skin types that’s essentially a mix of hydrating squalane and various antioxidant-rich botanical oils) and shake it up. Boom, just like that, you’ve got your custom serum for R1 495. For the record, the serum smells divine, possibly due to the blackcurrant extract oil, as it makes me think of Philosophy’s Falling in Love perfume which is all about soft blackberry and vanilla. I reckon that, if you go for the wrinkle-busting mix, it’s a nice ‘starter retinol’ serum as it’s not especially potent* so you could easily use it every day without having to worry about redness or peeling. *I’m not saying its ineffective! Just gentle. By way of comparison, I use a 1% retinol serum but only every second day and trust me, while ‘1%’ sounds mild, it’s not. To do so all the time would probably peel my face off. Not a good look! Something else you’ll want to know about? Kiehl’s have a lovely new cleanser on their counters – Clearly Corrective Skin Brightening Exfoliator (R650). 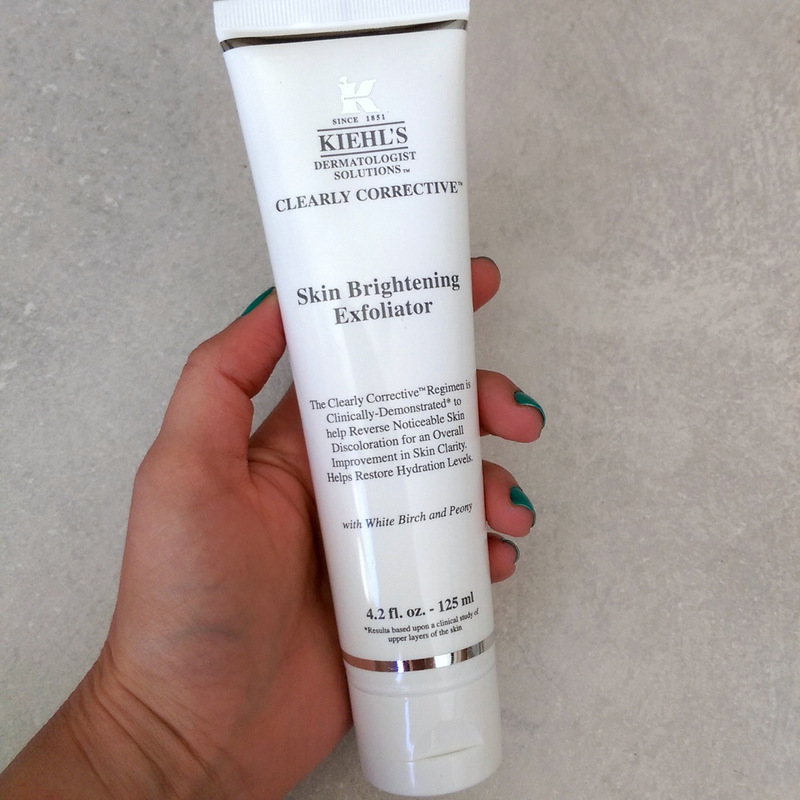 While it’s touted as an exfoliator and does contain exfoliating granules its pretty gentle, especially when you compare it to the exfoliating machine that is Kiehl’s Epidermal Re-Texturising Micro-dermabrasion scrub (R600). If you’re looking for a serious flake-remover than that guy is going to be your BFF. But as far as the newbie goes, I really like that it foams up like a boss, despite being free of potentially drying sulphates and leaves my oily-combo skin feeling fabulously clean and soft. Also, a little bit really goes a long way. In this way, it reminds me a lot of another Kiehl’s product I love and adore – their Ultra Facial Oil-Free cleanser (R315), but with added gentle exfoliating benefits. As far as the brightening benefits go, yes, exfoliating will always reveal fresh, new skin that’s more luminous-looking, but if you’re really looking for a radiance booster that’ll also help diminish the look of pigmentation, from the Kiehl’s range specifically, consider their new Nightly-Refining Micro-Peel concentrate (R750) which is a lovely leave-on chemical exfoliator. Also, their Powerful-Strength Line-Reducing concentrate (R895) considers itself a wrinkle-buster but has enough vitamin C in it (a fab 10,5%) to help you lighten up. Products that you leave on your skin as opposed to wash off will always have a greater effect. But in saying that, if you’re looking for a fab face wash with a very gentle exfoliating action that’s mild enough to use every day, know that Clearly Corrective Skin Brightening Exfoliator is a fabulous pick. I’ve really, really enjoyed using this product. Last, but not least, can you believe it’s almost Christmas? To help take the edge off an always busy December NOW is the time to klap your gift shopping and if you’ve got Kiehl’s fans on your list you’ll be glad to know their Christmas collection has finally hit the shelves. This year, they’ve partnered with a New York-based artist called Jeremyville who’s given a bunch of their goodies a cute and colourful makeover. Something that’s sure to sell out fast is their bestselling Creme du Corps body moisturiser in a huge 500ml bottle (R695) to help your Kiehl’s lover keep their skin feeling soft and supple for a good ten million years. Or maybe just a few months, depending on how much they like to moisturise. P.S. 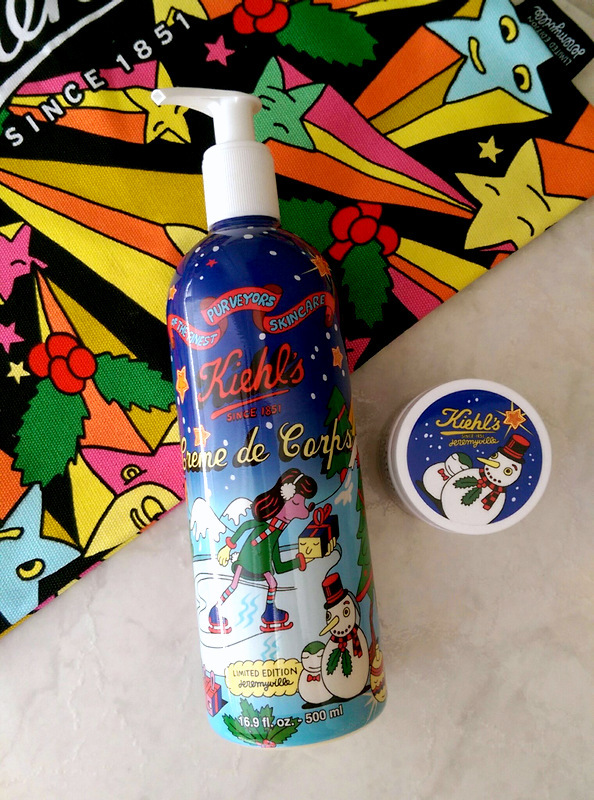 Total side bar here – I was too lazy to leave the sunny patio (the joys of working from home) to go inside and trawl through my press release folder and find out the price of the Creme du Corps so I rang the Kiehl’s store in the V&A (don’t judge me!) and the person I just spoke to was so friendly and clued up he totally deserves a shout out. You have no idea how many times I’ve called counters to get prices and it’s that kind of convo you dread as so many stores have a trainwreck staff situation going on but Kiehl’s V&A gets a big gold star.